ELK stack support is coming soon merged into Browbeat. This provides fully automated ELK server and client deployments with some additional tuning and settings. ELK stands for a set of log aggregation and datastore utilities that are very useful for centralizing log management and analysis. I’ve written a few posts on the topic before but here I’ll show you how to easily get it deployed on both servers and associated clients on Red Hat based systems (RHEL, CentOS, Fedora). Uses nginx as a reverse proxy and htpasswd authentication. 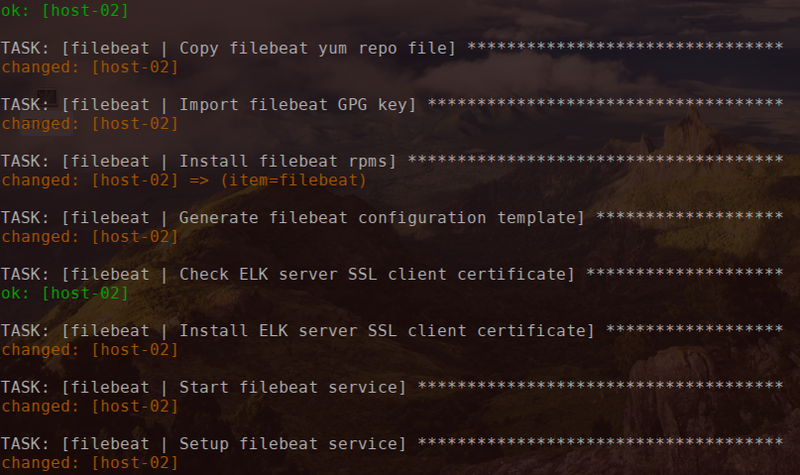 Run the elk.yml playbook against your target ELK server. When this finishes you’ll see some messages displayed, including the second Ansible command to install on the clients to send logs to the server. I did not automate this part because I wanted to give people an opportunity to name their index prefix and type as they wish. Navigate to the ELK URL generated when the playbook completes (mine was http://host-01) and click the green button to create your index. Use admin/admin to login (change this later at your leisure). 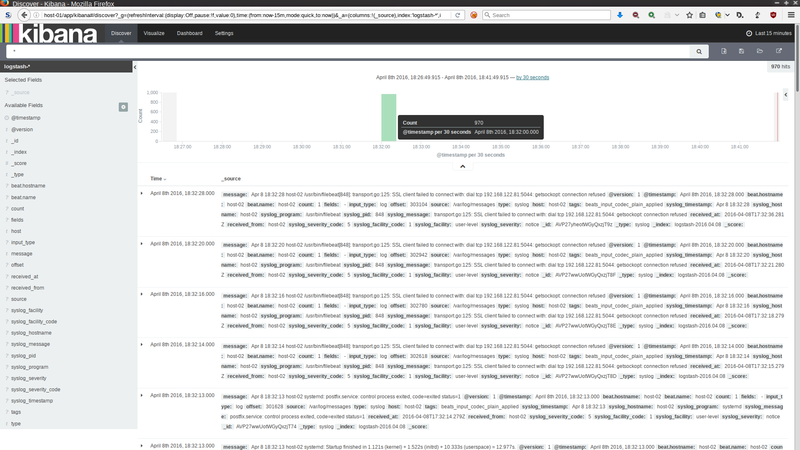 Once this is done you should see some of the local logs sent to Elasticsearch via the “Discover” tab. You should now have a fully functioning ELK server stack. 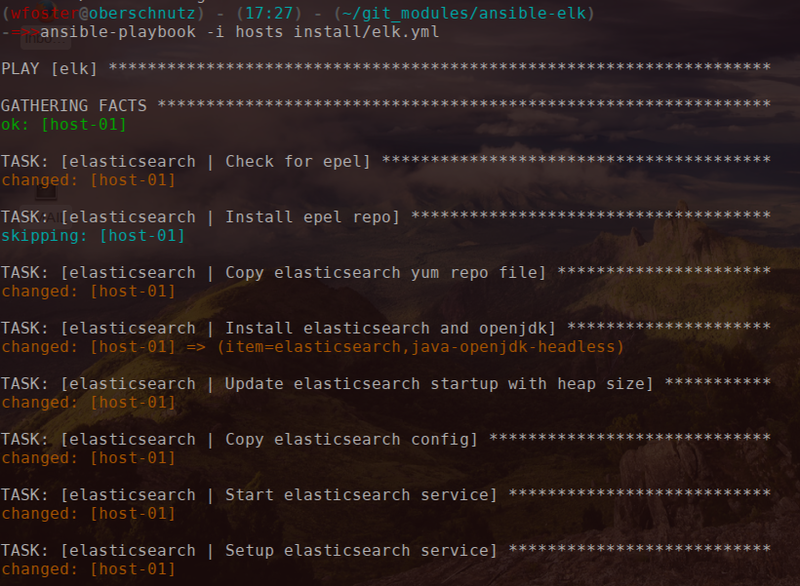 Just like the ELK server Ansible run you'll start to see things come together. At this point you should see logs trickle in from all the client(s) you have setup. Note that your client /etc/filebeat/filebeat.yml file is setup for generic /var/log/*.log and OpenStack services, edit to your liking to pull in what you desire to ELK.